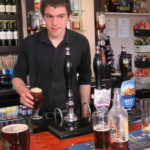 Expanding and improving the pub’s infrastructure and activities to promote wellbeing and encourage more local people to visit their local pub. The Bevy has 700 local shareholders and a management team of residents with deep roots and knowledge on the estate, including: a community development worker, local vicar, small business owner, carpenter, chef and charity director. The Bevy provides space for everyone, from friends and families who need a space to meet up, to the estate’s elderly residents who come together for a Friday lunch club. Over 70 different groups used the pub last year. 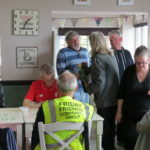 The Bevy prevents people falling off the radar to ill health by promoting wellbeing through affordable meal options, healthy cookery courses and by ensuring isolated residents are reached via a minibus for weekly lunch clubs. 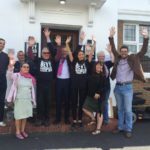 Based on the Moulsecoombe and Bevendean estates in Brighton, the Bevendean Community Pub, better known today as ‘The Bevy’, was reopened by local campaigners who saw beyond its previous bad reputation when it was closed down by the police. They recognised the pub’s importance as the only one on an estate of 18,000 people, providing vital community space. They simply couldn’t let it slip away. Two years on, The Bevy is now a popular community owned pub, helping improve the lives of local people. The Bevy prioritises provision of healthy, accessibly priced food in an area in the top 5% of deprivation in the country. With a Power to Change grant of £175,257, The Bevy has hired a second chef and rolled out their kitchen service seven days a week. They have also established a community kitchen where they can teach local people how to cook their own healthy meals from low cost ingredients and grow fruit and veg in their community garden, breaking the cycle of a poor diet leading to poor health. The grant also funded the building of outside space, making it a safe place for families to visit. 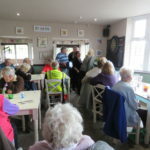 The grant also stretched to fund a minibus which picks up elderly or disabled members of the community from areas where bus services don’t run, and brings them to weekly ‘Friday Friends’ seniors’ lunch club in a safe and dignified manner, where they enjoy lunch, bingo and a chance to get out and socialise. This is often the only time they get out of the house all week. 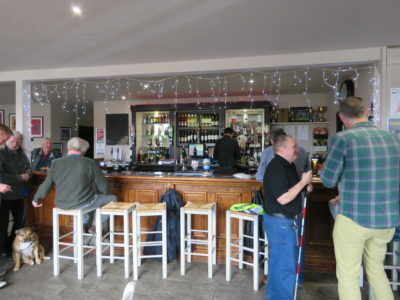 The Bevy has transformed itself into much more than a drinking establishment, offering local residents a variety of clubs to meet one another including: the Bevy choir, monthly repair clubs, walking and running clubs, darts team and pigeon fanciers. In initial meetings, local people said the Bevy should be more than a pub, given the area has so few community spaces. So they came together and raised £50,000 from over 700 local people – the most shareholders of any co-op pub in the UK. At the first AGM, it was agreed that 70% of committee members must come from the local area, with deep roots in the community. Now, the Bevy is a community pub owned by people on the estate, dedicated to improving their lives in ways beyond an affordable pint. The Bevy’s work hasn’t gone unnoticed, as it won the prestigious Brighton and Hove ‘Best Business in the Community’ award and made it to the finals of the Great British Pubs as one of the best community pubs in the UK. The Bevy also featured on the One Show with Suggs from Madness pulling the pints and discussing the decline of the Great British Pub and what local people can do to save their local.